Harlem Lovebirds: Belli Celebrates Moms with an AMAZING Giveaway! 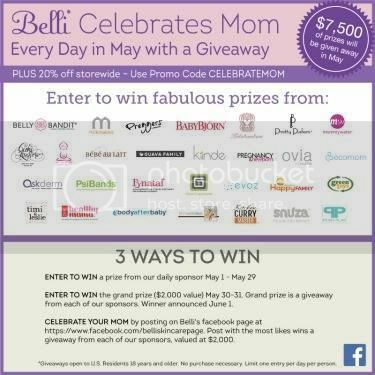 Belli Celebrates Moms with an AMAZING Giveaway! Starting today through May 31 visit www.belliskincare.com for a daily giveaway from Belli's featured brand partners. Then on May 31 you can enter to win the grand prize: a prize from each brand valued at $1,500! In addition to this contest there is also one running on Belli's Facebook page where you can win a matching $1,500 prize by uploading pictures or video of you and your mom. The one with the most likes will win all 29 prizes! Definitely follow along on Facebook and visit Belli's website to enter today! Good luck mamas!